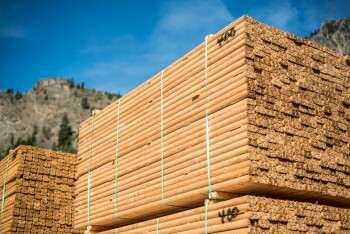 At our Coldwater Post & Rail facility, we produce untreated round Spruce-Pine-Fir (SPF) and Douglas Fir wood products that we market into agricultural, commercial and residential markets. 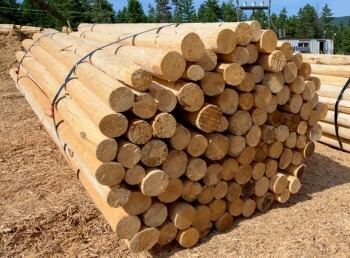 Our posts are typically used in agricultural applications, which include berry farm posts, grape tree stakes and a wide variety of fencing applications. 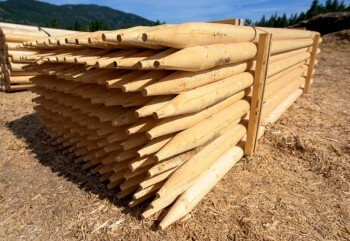 Our environmentally friendly dowels are consistently sized in diameter. They are most commonly used in a tree stake application. Our landscape ties are primarily used as a garden landscape tie in residential markets or they can be further manufactured and used for lath, blocks or as pallet construction material.